Luxury Lincoln built custom home located in the prestigious neighborhood of The Reserve at Plantation Golf & Country Club. Ideally situated on an over-sized corner lot with tropical golf course views on two sides of the home. A large circular Paver brick driveway welcomes you into this estate home. Features include approximately 3300+ square feet of living area with 3 bedrooms and 3 baths, Home Office and a 2 car + golf cart garage measuring approximately 32x22. Ideal for your cars and extra toys or needed storage. 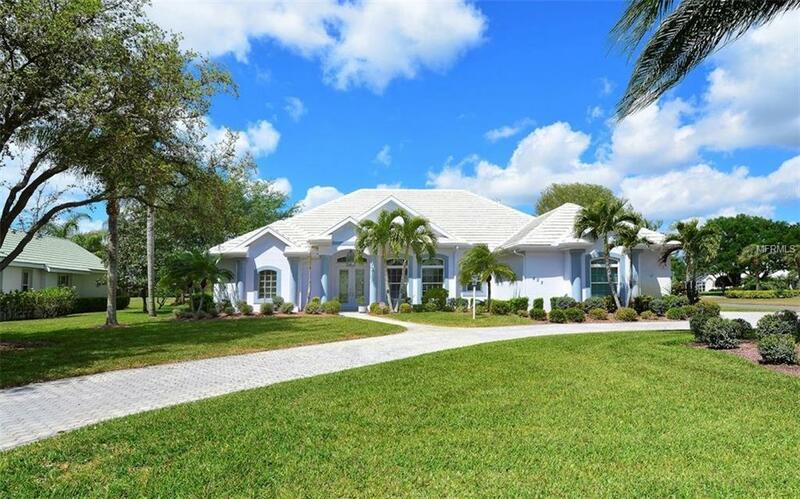 Home was built for entertaining and features an extensive lanai area featuring a large 30x15 gas heated pool, a relaxing in ground spa and wonderful Cabana area with outdoor kitchen. Sliders in living room and family room open the house completely and provide great flow throughout the home and lanai area. Recent upgrades to home include: Hurricane Impact Glass windows and doors (2014), two A/C systems, Washer/Dryer (2016); & Dishwasher (2017), Pool cage re-screened (2017), and Pool resurfaced May 2018. The home has 12-foot ceilings, trayed and coffered in many rooms, 12 speaker Bose Music system, Security System, Gas fireplace and custom built-in (Family Room), central vacuum system, water purification system, custom window treatments and tons of interior storage closets. Enormous kitchen features double ovens, GAS cook-top, wood cabinetry, center island, and solid surface counter-tops. Additional feature list is available upon request. Furniture Package can be included with offer. Amenities Additional Fees Membership To Plantation Golf & Country Club is Optional. Various Levels Of Memberships Are Available.